Click the Troudador logo to see a listing of David's Troubador Books. Illuminating the Shadow explores dynamic new ways of understanding the world we inhabit both individually as well as collectively. Our ‘shadow’, a term first coined by Swiss psychologist Carl Jung, contains all the unconscious aspects of our psyches. It holds the potential of all that we might become as well as the hidden patterns that are, so often, the main drivers of our life, by either limiting our self-expression, or propelling us along paths that we would not willingly tread. Because these patterns sit below the level of the conscious mind, we are not normally aware of their subtle yet profound influence upon us. This book will show you how to realise your full potential by bringing these self-limiting shadow elements into the light of consciousness, thereby allowing you to take control of your life and to heal the traumas they hold. Through this process, you will liberate yourself in a most profound way. Divided into three sections, complete with many exercises and activities, the book first looks at the shadow within literature, films, myths and fairy tales. The second section considers the concept of a ‘Cosmic Shadow’, before exploring the ‘personal shadow’ and then its manifestation within ‘the collective’, with its insights into extremism. The final section provides many different techniques for exploring and balancing our own hidden shadow nature. Illuminating the Shadow, in challenging orthodoxy, whether scientific or religious, presents new insights into the fundamental patterns that imbue all aspects of life, such as the evolution of consciousness, the balance of opposites and the relationship between the material and spiritual dimension. As such it will appeal to those with an interest in new ways of thinking. Click the Lulu logo to see a complete listing of David's Lulu Books. Develop Your Intuition and Psychic Powers buy the paperback from Amazon. Explore the world's most widely used divinatory techniques including dowsing, palmistry, numerology, runes, tarot, I Ching and astrological maps. Find purpose and direction in life by understanding the patterns that weave through it. Do you want to feel more in harmony with nature? Or that you'd like to contribute more to the well-being of the planet? This fascinating guide shows you how to understand and connect with the world around you, discovering and awakening your own intuitive powers and healing gifts. 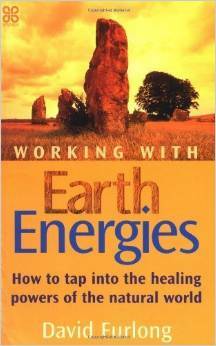 Working with Earth Energies teaches us how we can each establish a harmonious relationship with the Earth, a process that is vital to our health and well-being. This book presents startling new evidence about the history of mankind. After years of research David Furlong has discovered extraordinary patterns of alignments in the British landscape which links ancient sites and - incredibly - give a blue print of the same geometric patterning found in the Great Pyramid of Egypt. Detailed calculations prove beyond doubt that a highly sophisticated astronomical, mathematical and surveying knowledge was evident and working in Britain 3000 years before Christ. These events correspond exactly with the start of dynastic Egypt and beginning of the Mayan Calendar. Who were the masterbuilders of these highly complex temples in the landscape? Where did they come from and why did they impose their network of ley lines over the land? What message did they hope to conceal in these intricate patterns? This book provides the answers. Everyone has within them the potential to heal. In The Healer Within international healer David Furlong shows you how to unlock the energies of your mind, body and spirit and focus them in a beneficial way. He enables you to explore this fascinating world of healing safely and wisely, and provides a variety of techniques and exercises which you can use to help yourself and other find better healing, healing and happiness. Click the logo to see a complete listing of David's Lulu Books. Or alternatively can be purchased from Amazon. Healing imbalances in our family patterns is crucial to our health and wellbeing. 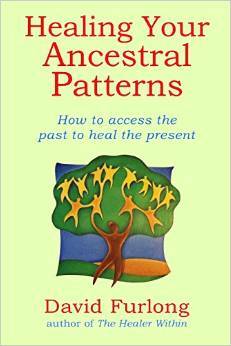 In this book, international healer David Furlong explains the relevance of our ancestors to the healing process. He shows how the character and experiences of our parents, grandparents and great grandparents shape our lives in all sorts of subtle ways and stresses the importance of healing the patterns from past generations which continue to affect us today. By learning to connect with these energies from the past we can free up and balance their impact on our lives and on future generations.